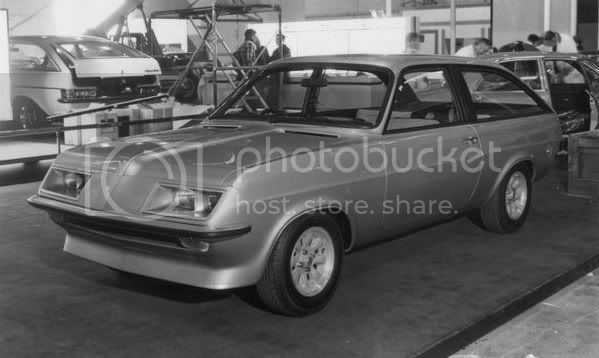 The Vauxhall High-Performance Firenza was launched at the 1973 Motor Show at Earls Court in London. Press and public alike were amazed at the radical look of the new car, formed by grafting a fibreglass nosecone onto the front of the standard Firenza, which from this point on would be known as the Magnum Coupe. The new Firenza was quickly dubbed the "Droop Snoot" because of the sloping front. 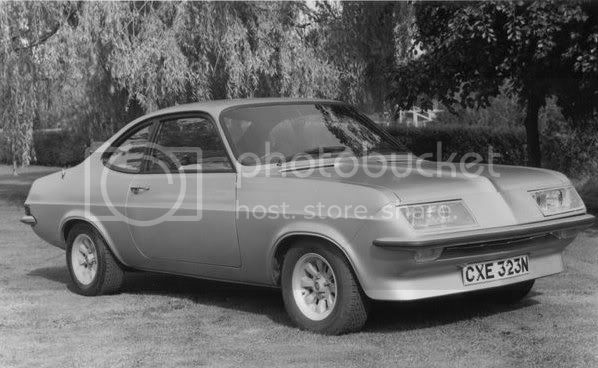 Vauxhall engineers had been experimenting with a number of different styling ideas for the Firenza coupe, and were taking notice of emerging knowledge of aerodynamics as a means of reducing drag and increasing efficiency. Several prototypes were manufactured, with the eventual design chosen as a balance of effectiveness and ease of manufacture. To launch the new car, a special race at the Thruxton circuit in Hampshire was run. Twenty new High-Performance Firenza coupes were raced by the leading drivers of the time, including Gerry Marshall, Barry Williams and Stuart Graham. After the race, the cars were cleaned up and sold to customers, with the genuine Thruxton Firenza now commanding a higher value than the standard car. The race was captured on film and is available on the "Classic Saloon Car action of the 1970s" video. Because of the fuel crisis of the time, and a resulting lack in demand for large-engined cars, Vauxhall found it quite difficult to sell the small number of cars they had produced. Although they never intended to sell more than around a thousand cars, eventually only two hundred were sold before production was stopped. Starting to take an interest in aerodynamics produced a styling study known as the "Sports Hatch" which was displayed on the Vauxhall stand at the 1974 Motor Show. Finished in silver, the car was intended as a sister car to the Firenza. Although the power output at around 110bhp is low by today's standards, at the time the sportshatch was a fairly powerful car, and with it's rear door it might be claimed that the Sportshatch was one of the first vehicles that could be called a "hot hatch". 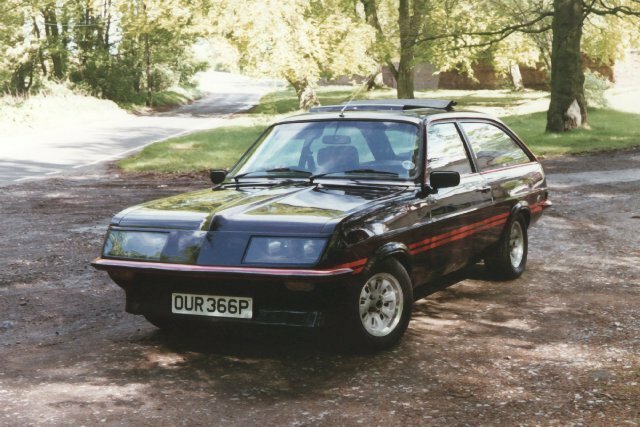 At the end of Firenza production, Vauxhall found themselves with a surplus of nosecones and alloy wheels, and so the Sportshatch was born as a road car. Instead of the understated silver paint and grey interior of the show car, the production car featured a very dark red exterior ("Extra Dark Wine", for the purists, often described as black), bright red detailing on bumpers and window frames, and red tartan seats with bright red carpet inside. Even now, the Sportshatch is a very eye-catching sight, and not only because they are so rare. Fewer than two hundred cars were made, and the club estimates that fewer than half that number are still in existence. That would have been the end, but for one very special car. Known as "Silver Bullet", the car was built as a prototype and used as personal transport by Wayne Cherry, head of design at Vauxhall at the time. This car featured a fuel-injected engine, leather interior and a modified nosecone with three headlamps on each side. The car was rescued from the roof of the Vauxhall styling department some years ago, and has been restored to show condition.